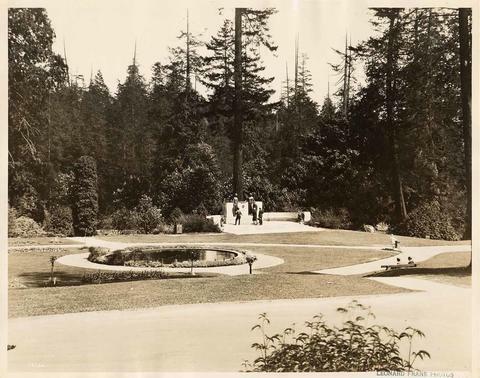 Photograph depicts the Harding Memorial in Stanley Park. Warren G. Harding was President of the United States of America when he visited Vancouver in 1923. A week later while in California, he passed away unexpectedly. 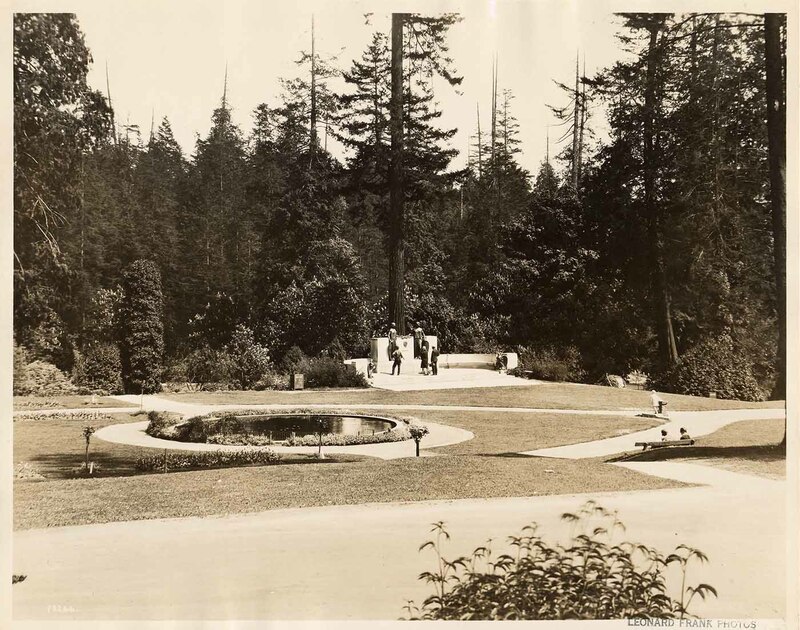 The Harding Memorial was unveiled in Stanley Park in 1926 to commemorate his visit. Small lily pond in middle left of image; two children sitting on bench in middle right of image; three adults inspecting concrete and metal monument with two metal female figures and two metal eagles in background.